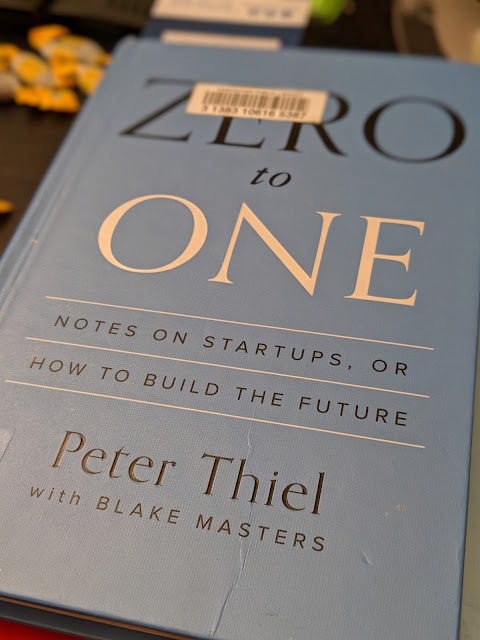 I borrowed a few books from the Vancouver Public Library, and the first I read and finished is Zero to One, Notes on Startups, or How to Build the Future, by Peter A. Thiel. In summary, the book discusses questions and things startups should ask in their quest to build things that will change the world. Below are the seven question, in the book that you should ask for before launching that product. If you answer, yes to all seven items, then your chances of success will be higher. Can you create breakthrough technology? I have a couple of product ideas that I think can be startups but going over this question, I always have a tough time answering 4, 5, and 6. I highly recommend reading the book before you jump in creating that product and pitching it to investors. What other books do you recommend?